My first attempt at a scenario—–As the U.S. offensive pauses to consolidate its gains, supplies are delivered to frontline units. 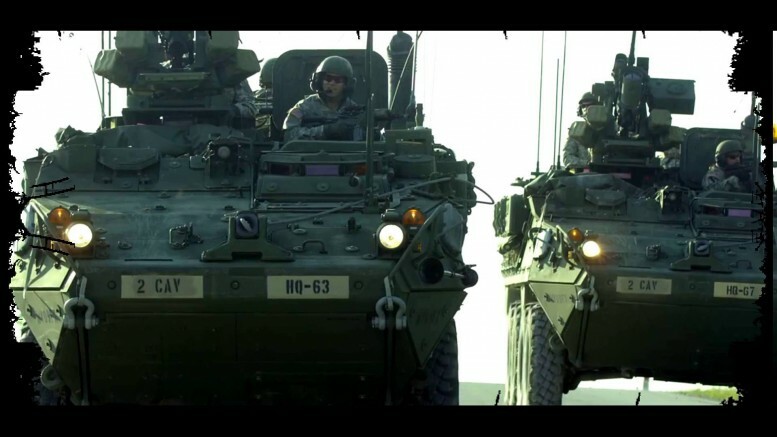 After the disappearance of a supply convoy in a supposedly “quiet” sector, 1st Squadron 2nd Stryker Cavalry Regiment is tasked with locating the convoy and determining its status. The convoy was moving along a route set aside for the later passage of “A” Company 1st Battalion 2nd Armored Brigade Combat Team as it prepares for a spoiling attack against a possible Russian counterattack. It is imperative that this route is clear. 2 Comments on "Escalation of Violence"
I just finished playing this as a H2H PBEM game (although it says play vs AI only here, I am sure it didn’t say that when I downloaded it from the repository – hmmm….) and it is the most entertaining CMBS scenario that I have played so far. As the title suggests, the forces arrayed on each side start of small and grow continually throughout the battle. The fighting is intense and there are multiple opportunities for each side to take advantage of changes in force balance. Our particular game ended as a draw – usually a good sign! Many thanks to the scenario designer! My Tanks got collateral shot, enough said.